Extendas is the innovative software developer for the petrol market. We help petrol station owners and oil dealers to simplify their administrative, financial and logistical management. To this end, we offer the following products. 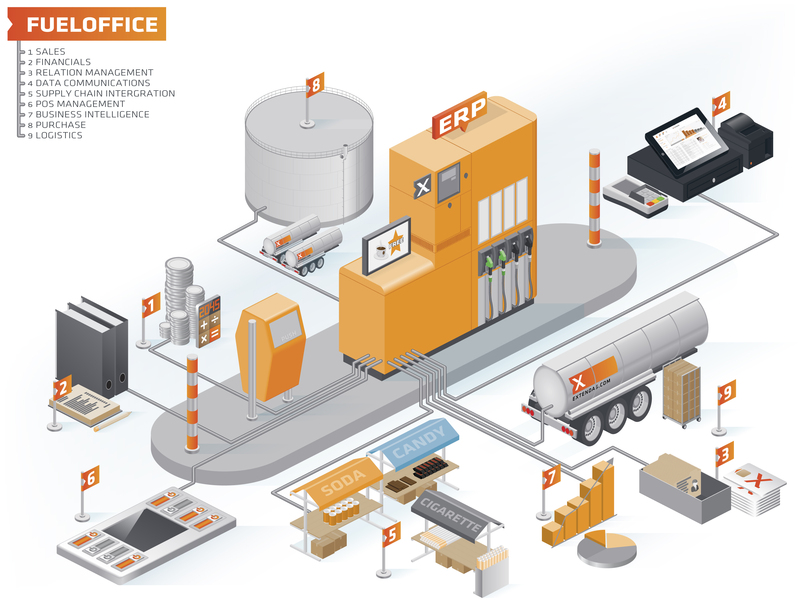 FuelOffice is the powerful and easy-to-use back office system for the petrol market. 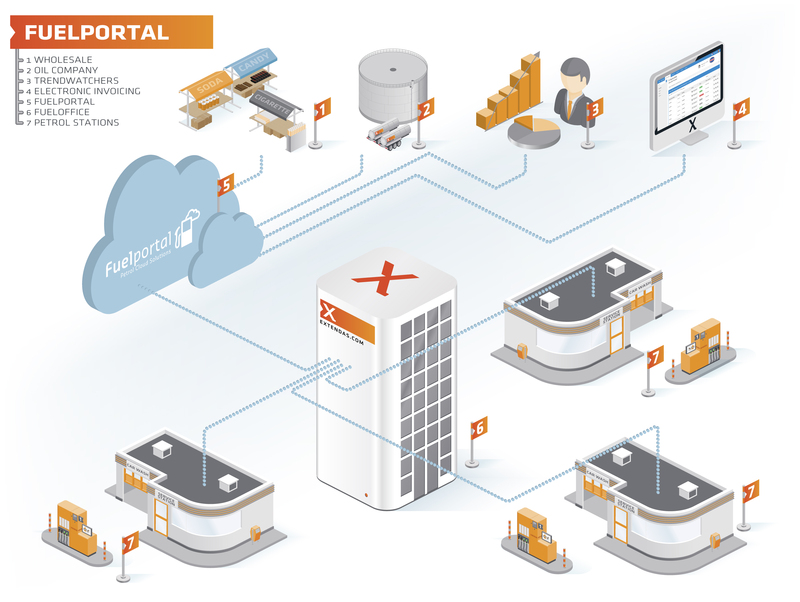 The system simplifies the administrative, financial and logistical management of enterprises. It increases efficiency and makes your organisation more agile. The cloud platform offers numerous possibilities for sharing and comparing back office data and linking with third parties. These range from wholesale suppliers to oil companies, industry associations and benchmark agencies. Participation in FuelPortal provides valuable insights, synergy benefits and increased efficiency for all participants in the petrol market. Social Petrol INtelligence is an innovative software platform that allows you to link valuable customer data with the back office. Extendas SPIN consists of a loyalty app for loyal customers, an innovative iPad checkout (POS) at the petrol station and a real-time link to the SPIN host and back office system. 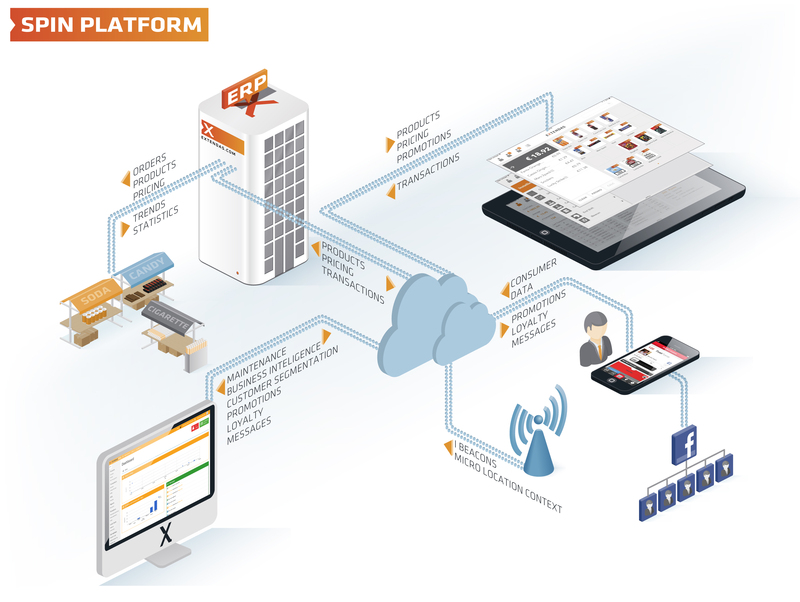 In addition to these revolutionary products, Extendas offers services, app development and cloud solutions.